The infamous Panama Papers leak has made headlines in Vietnam, naming some high-profile Vietnamese businesspeople. To help readers gain a better understanding of this matter, lawyer Luong Van Trung from Lexcomm Vietnam LLC, explains in detail about the Panama Papers and the global issue of tax havens. Countries, states or territories mentioned in the Panama Papers are often considered “tax havens”. However, tax havens exist not only in faraway autonomous territories like Bermuda, the British Virgin Islands, the Cayman Islands, Hong Kong, and Macau; but also in developed countries such as Delaware and Puerto Rico (the US), Jersey and Isle of Man (the UK), Switzerland, Netherlands, and Luxembourg. Even Singapore is included in this list. There are currently 50 countries, states, or territories that are regarded as tax havens, depending on different definitions. These places do not impose any taxes, or very few taxes, on companies that are registered there. Even firms with no business activity in the country or who earn their main income from outside the country can avail. Other terms and conditions may apply but firms registered in Panama can always maximise the benefits from these tax reductions. Most tax havens consider business registration costs as the main source of income for their territory. This includes registration fees (first-time and annual), costs for lawyers and business registration processes, corporate services, leasing services, and retaining the original corporate file (mandatory in Cayman Islands). Services for making annual financial reports and “leasing” board members are also available. The businesses registered in these tax havens are often called Special Purpose Vehicles (SPV). SPVs only require between $800 and $1500 of registration costs and from $1,000 to $4,000 for corporate services costs. As long as the business is conducted outside the tax haven; all sectors are eligible, especially industries that have no human resources or technology requirements. Some common purposes of SPVs include carrying out transactions of securities, assets or investment plans in another country, in order to (i) separate those transactions and accounts; (ii) significantly reduce time and fees for registration, management and reports compared to the original country of that business; (iii) divest from the SPV anytime without spending time and fees to conduct due diligence (which includes evaluating the SPV’s business, finance and hidden risks). Specifically, in financial support programmes for large-scale transactions (such as funding infrastructure and energy projects or purchasing airplanes), the investor often requires project owners to separate their business and “clean up their past”. This can only be achieved via an SPV. It should be noted that the tax havens themselves are not illegal or immoral. However, it’s unfortunate that due to their lenient rules, these tax havens are often misused for economic crimes, creating a morally grey area. In terms of raising money on a global scale, an SPV is a common tool to attract capital from professional investment funds or wealthy individuals. So why not register the funds in Vietnam? The answer is obvious due to the above-mentioned reasons. A more important reason, in my opinion, is similarities in the legal system (at least in the Enterprise Law) between tax havens and investors’ countries. This can be proven through by the fact that most foreign investment funds in Vietnam are registered in these tax havens. When investing in Vietnam, an SPV is a useful tool in minimising the differences between Vietnamese law and the SPV owner’s countries. 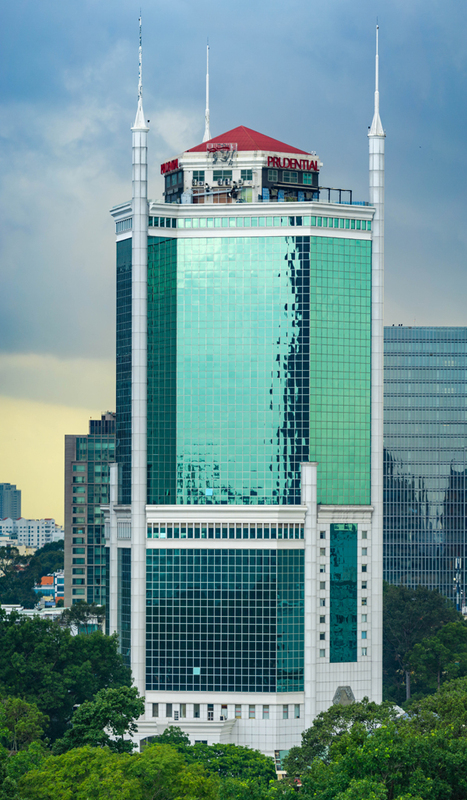 In the case of some multinational companies in Vietnam failing to pay taxes, it is not necessarily due to SPVs, but rather transfer pricing or their accounting methods (if these corporations reap more profits than they report). Meanwhile, direct or indirect investments through SPVs must pay taxes, according to Vietnamese law, before transferring profits overseas, with strict foreign exchange rules imposed on direct or indirect capital accounts. The Vietnamese authorities require figures and statistics from multinational companies that invest in Vietnam via their SPVs. As such, this is not a cause for concern here. In the globalisation age, Vietnamese businesspeople have started using SPVs as a useful and legal tool for their international business purposes, as stated above. Setting up an SPV requires less than $5,000, which is below the limit on foreign exchange cash that a person can freely carry outside of Vietnam. Payment via credit card is also possible. As a result, Vietnamese people do not need to report to the government the money they use to set up SPVs overseas when the amount is less than $5,000. However, any amount above that sum is heavily regulated. Due to this limit, SPVs are not a vital tool in the transference of foreign exchange overseas. Therefore, we can not blame SPVs if a percentage of the $9.3 billion of outflows from Vietnam are found to be illegally traded. It’s undeniable that tax havens and SPVs have been used by many individuals and organisations to reduce taxes paid (or evade taxes altogether). This is the flip side of globalisation. If we consider this matter from the perspective of a specific country, for example, the US, where the tax system is among the strictest in the world, we can find numerous “tax evading geniuses”, such as Facebook, Google, or Apple. These corporate giants have taken advantage of legal loopholes in one country to evade taxes in another. For example, Google evaded $2.4 billion in global taxes in 2014 by transferring $12 billion of made-in-the-US revenue to a Bermuda-based firm, according to recent reports by the Netherlands Chamber of Commerce. It is interesting that these “tax evading geniuses” are immune to investigation from the governments in the US, UK, and other countries. Why? It’s simply because they don’t violate any rules of the countries they operate or record profits in. According to the Guardian newspaper, Switzerland, Hong Kong, and the US are the top tax havens for wealthy people. A businessperson named in the Panama Papers has likened SPVs to a double-edged sword – a tool that depends on the user’s intentions. Regarding the legal system, Vietnam should have effective rules on foreign exchange, inbound and outbound investment, and transfer pricing, so that SPVs owned by Vietnamese businesspeople are used for legal purposes and illicit actions are minimised. However, if some Vietnamese businesspeople indeed use SPVs for illegal activities (transferring money overseas through fake contracts or carrying out transactions overseas for assets and services based in Vietnam), the authorities must assess why this trend is spreading – especially when these SPVs are set in countries with higher tax levels than Vietnam.